Cast your mind back a few long months. Back to the weeks leading up to the launch of space sim Elite: Dangerous near the end of last year, to be a little more exact. Developer Frontier offered up a challenge to the most dedicated players, with a hefty sum of prize money to incentivise everyone. The four milestones have been hit, and four Elite: Dangerous legends are rather wealthy for their efforts. The challenge involved achieving Elite rankings (the highest honour the game gives) in the three individual principles the game offers – Exploration, Trade and Combat – before anyone else. A bigger, fourth prize was then offered to the first player to achieve Elite in all three, which should roughly take around three times the time. Surprisingly though, the winner of the ultimate honour actually managed to surpass everyone else in the running by a light-year. Appropriately named user Onepercent snagged the grand prize, with an Elite rank in all three principles. During his play time he visited more than 10 000 unique star systems, blew up 9000 other ships and bartered over 835 000 tons of goods. It took him around 1029 hours of in-game time to achieve this, which is staggering considering the game came out in December last year. But all worth it I’d bet for the $15000 prize. The other three awards were just as impressive. Commander Tequila picked up the Exploration award, travelling 190 000 light years and visiting just under 8000 unique star systems. The award for Trade went to Lordkee, who kept his books relatively clean and traded over 830 000 tons of cargo. 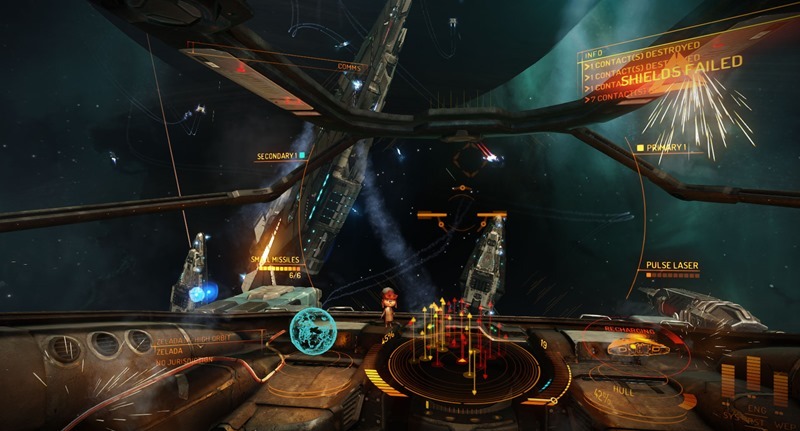 The most feared pilot in Elite: Dangerous is Fromtonrogue, who racked up 8500 kills over his playtime. Each of these players received a share of the prize pool too, which totalled $20 000. I have to applaud the dedication of these four players, but also shed a tear for those who dedicated close to as many hours but just lost near the end. That must be truly heartbreaking. Previous article Midweek Movie Mouth-Off: what show would you resurrect for a TV reboot?